There’s a saying that goes: “Fake it till you make it”, but why not make it to fake it? The use of faux stone in landscape construction has come a long way from the days of old when man-made stone left a lot be desired when it came to aesthetics. These days, modern faux materials are so realistic that even to the trained eye it is hard to tell the difference. Faux stone is available for a range of construction options. Modern architectural designs have given rise to the use of natural materials in the design of homes and landscapes, but it is often the cost of sourcing and manipulating natural stone products that puts their use out of reach for the average homeowner. Enter faux stone, a blend of cement, lightweight aggregates and iron oxide pigments moulded from hundreds of different natural stone profiles to give a very authentic appearance. There are also products available that have been manufactured from high-density polyurethane plastics. These lightweight materials come in a variety of panel sizes that are easy to install and can be done on your own without the need to rent special tools or machinery. They are made from quality materials in order to last for years to come and can withstand the effects of heat, cold and moisture. The authentic visual affect may vary slightly between polymer-based products and a cast lightweight concrete material but overall a natural effect can be achieved with either product. A range of products feature the addition of water-based water repellent that greatly enhances the faux stone’s performance in humid climates. Water repellent is mixed with the composite material during manufacturing, providing a more lasting effect than spray, brush or paint applications to the surface of materials. The end use is particularly important when it comes to installation of faux stone products. Buying a faux stone that is designed for interior use rather than exterior use is one pitfall you need to avoid when shopping for faux stone panels. The range of faux products is very diverse with a broad array of profiles, colours, textures and material types that will ultimately dictate the price differential of Australian manufacturers and suppliers. The beauty of faux stone panelling is that any number of profiles and stone types can be catered for, which eliminates the need for trying to source mined natural stone from local suppliers or importing natural stone products from alternative locations. The cost associated with this can also be prohibitive and the added burden of manipulating raw product is eradicated by utilising faux materials; in fact, with faux stone you can save up to 50 per cent over the cost of traditional masonry work. Faux stone makes it easy to recreate the unique texture, colours and shapes of each masonry style without the hassle making it the perfect alternative to traditional rock and stone. 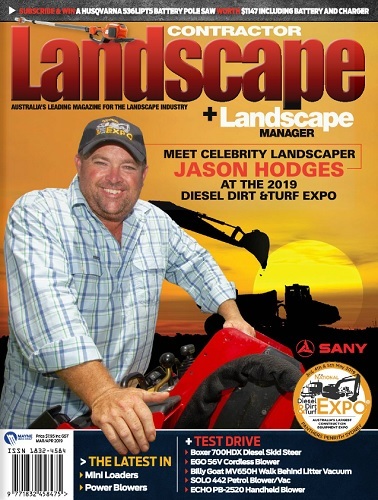 When it comes to installing any landscape components labour is a significant cost to the overall project. Installation of masonry works often requires a specialist such as bricklayers and stonemasons (who don’t come cheap) to ensure structural integrity and a quality finish. One of the greatest things about faux stone when it comes to building a retaining wall is that it can be installed at a much better price. If budget is a concern, then faux stone is definitely the route to take. Not only does it look like natural stone, it is easier to maintain and clean. This helps if your client is looking for a low maintenance material and isn’t really interested in much upkeep after the initial installation. 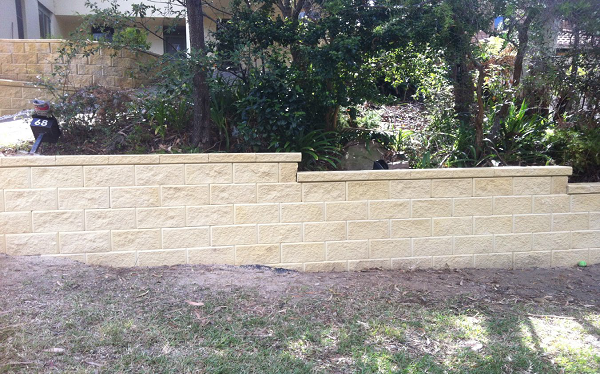 There are faux stone retaining wall systems available on the market that can provide cost savings in the vicinity of 40 per cent over the standard besser block construction with a stone finish. The only downside to this type of material is that it isn’t the real thing. Yes, it look like natural stone and has many benefits such as price and maintenance, but some people would just rather have the real deal. 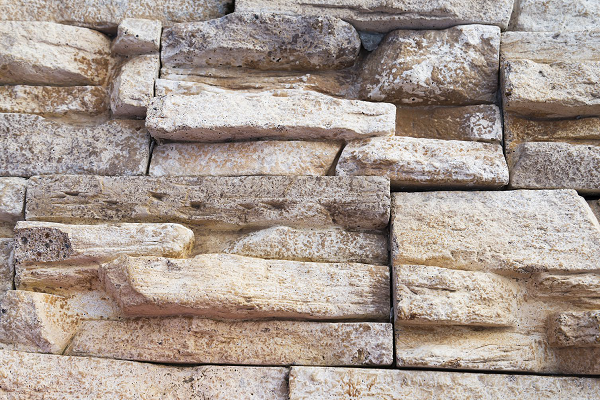 Faux stone is manufactured for a variety of applications in the landscape. There are also products that will add that finishing touch to walls, columns and piers. 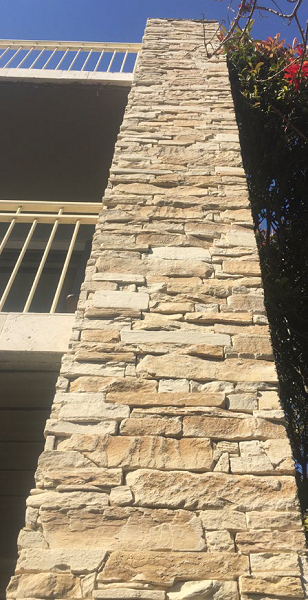 Capping stones manufactured in sizes to suit common Australian building practices and corner profiles are also available making faux stone the ideal stone cladding for piers and columns. Water features can also be constructed from faux stone materials with lightweight garden and pond rocks, waterfalls and pool side rocks providing remarkable realism. There are a range of different profiles available and many options available in kit form for ease of installation. Some products will need to be dug into the ground and require landscaping to enhance the finished installation, but the final appearance will be quite natural. Some lightweight faux rocks are moulded from real rock formations and colour blasted with natural rock material for a look that’s virtually indistinguishable from those in nature. Manufacturers produce products made with a polyurea/polyurethane combination and some use fiberglass. Faux stone is no different to any other landscape component. It will require a degree of maintenance to keep it looking good although many products available are relatively maintenance free, however regular inspection of stone is recommended. For products that have been installed with a grout between panel joints, check for any dislodged grout and replace as required. All panels should be checked for any movement or dislodgement becauise they may become loose over time through impact or vibration. Faux stone manufactured from lightweight concrete material is more susceptible to damage from cleaning chemicals than most natural stones. Cleaning the majority of faux stone materials can be done safely by filling a bucket with warm water and adding a little vinegar, or dishwashing liquid to create a mild detergent solution. Scrub the stones with a sponge that is wet with the solution, squeezing it out frequently to keep it clean. Then, rinse the veneer with clear water from a garden hose to ensure no soapy residue remains. Soft bristle brushes can be used if necessary, but avoid using wire brushes because these can damage the surface of faux stone. Do not use high pressure sprayers, or acidic cleaning materials intended for actual stone. Characteristics can vary greatly regarding aggregates, oxide colours added, etc. and while one manufactured faux stone may take a more effective cleaning procedure than another, there really is no one-size-fits-all approach. It is advisable to consult the manufacturer or supplier on the best method for cleaning faux stone surfaces to ensure any warranty is not void through incorrect cleaning methods or worse still irreparable damage is done to the surface due to the use of an incorrect chemical cleaning agent. 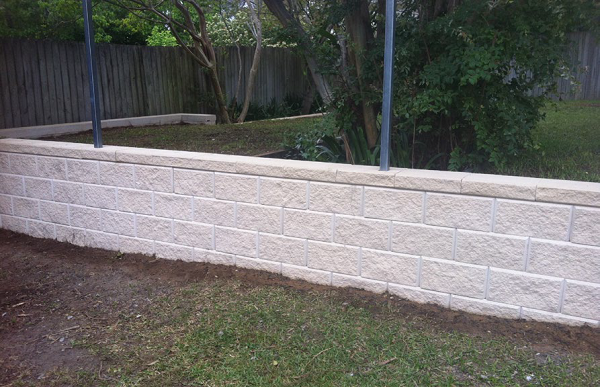 Faux stone provides landscape contractors and their clients with a durable, affordable finish to outdoor alfresco areas, pool sides, external walls, fencing and retaining walls. One of the biggest considerations is cost. When you consider all the elements that make up the final cost of faux stone installations, including the price of the material, the amount of material required and the shipping costs, you will find that in most cases, faux stone is a far less expensive option. Faux stone products provide the elegance and high-end look of a natural stone façade. Many benefits come with choosing manufactured faux stone products and you might be surprised how these advantages can save you and your clients’ time and money.